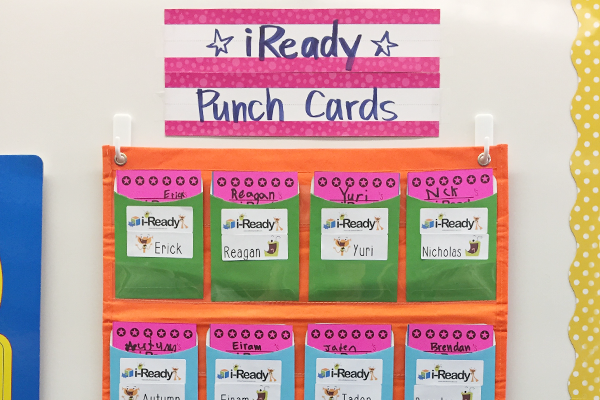 i-Ready punch cards in a pocket chart. 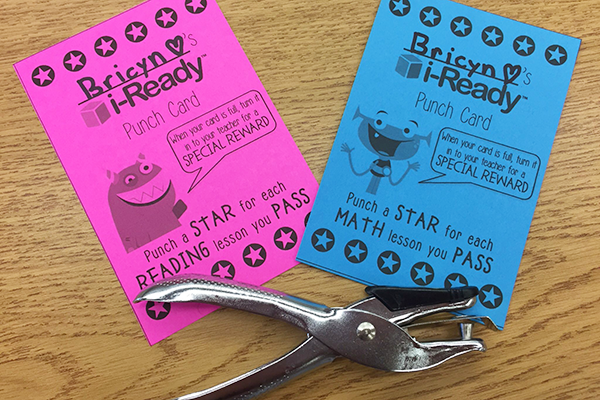 i-Ready Reading and Math punch cards for the same student. 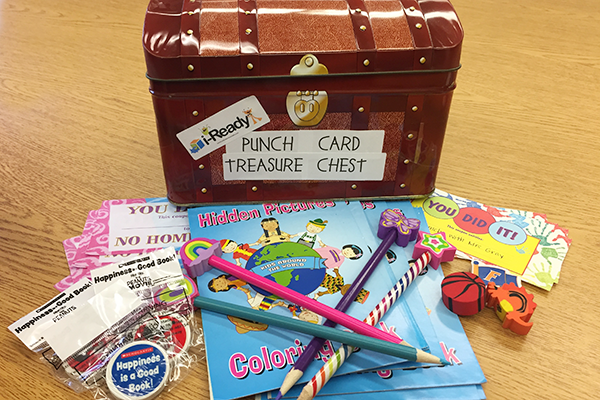 Special i-Ready treasure chest with prizes. 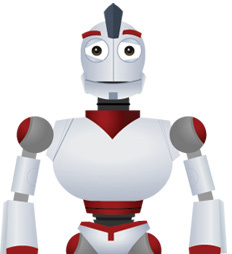 Carolyn Gray, a second grade teacher in Florida, uses i-Ready Punch Cards in her classroom. She explains, "The punch cards are set up in a pocket chart in my classroom. Whenever a student passes a lesson, they can come to the chart and punch one of the stars on their card. Once they punch all the stars and fill their card, they get to go to our special i-Ready treasure chest that has prizes like lunch with the teacher coupons, no homework coupons, erasers, hidden picture books, mechanical pencils, stickers, etc. It has been a great motivator to get students not just to reach their minute goal, but also to pass their lessons! I made a few different versions of the punch cards that I shared with the teachers at my school."